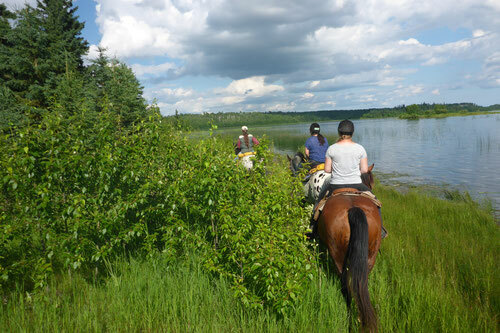 Winning Ways offers guided Trail Rides across our pasture land, down to Nesset Lake and through the Northern Provincial Forest. 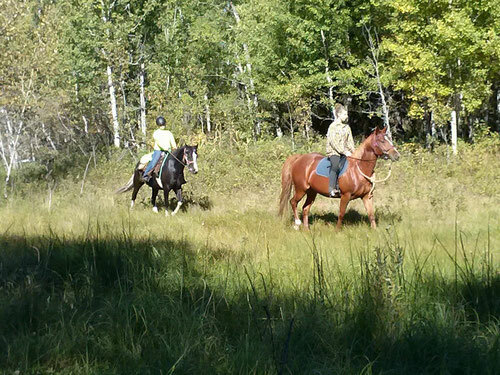 Our trail rides are led by an experienced trail guide, proficient in both riding and horsemanship. At least one guide will go out with your group. 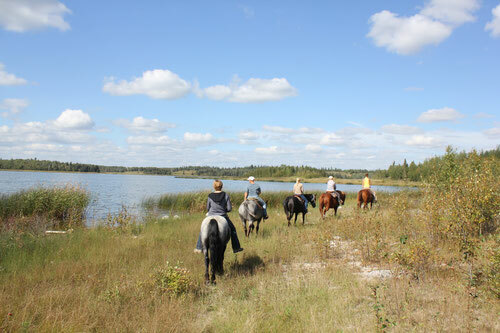 While out on the trail, feel free to ask your guide any questions you have about our horses, basic horsemanship and about the other programs that we offer. Our Trail Rides are suitable for Rookie Riders, the terrain is occasionally steep and requires the rider to steer their horse. Please look under the “Rookies” tab under “Riding Lessons” on the left navigation bar for more information about the Safe Trail Riding Series. Inquire about rides for more experienced riders. Winning Ways Trail Rides are arranged for no more than 6 riders per group, plus the trail guides and assistants. We have rides varying from 1-3 hours on the trail. Photo opportunities are provided. Our trail rides are suitable for individuals aged 10 and older (or 8 if being ponied by an assistant guide, parent or guardian must be present). Riders under the age of 18 must arrive at our facility with an adult; waivers for youth require a guardian or parent’s signature. All riders must have a waiver signed before participating in any program atWinning Ways. Please ensure that you wear long pants when arriving for your trail ride, and dress appropriately for the weather conditions outside, as we will ride in most weather! Also, ensure that you wear a shoe or boot with a 1/2 inch heel. Absolutely no sandals!! You are also welcome to bring your own helmet if you would like to wear one. A helmet is mandatory for children under the age of 18. While we do recommend that adults 18 and over wear a helmet, this is optional. Helmets are available to borrow at no cost at Winning Ways. Please book your Winning Ways Trail Ride a minimum of 48 hours in advance. We require 24 hours notice if you will be unable to attend your scheduled Trail Ride. Please contact us by text or phone to notify us of your cancellation, and we can arrange an alternate riding time. We ride in most weather conditions. However, if the weather or trail conditions are unsuitable for a Ride, we will contact you prior to your Trail Ride in order to arrange an alternate riding time. If you have not heard from us regarding a cancellation, please arrive at the scheduled time as we will still be taking the Ride out as planned! 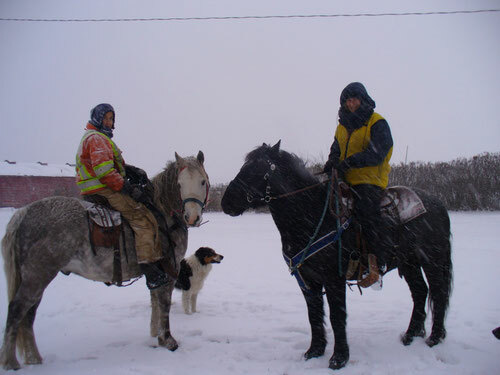 Winter Trail Rides are available weather permitting. Snow cover must be less than 30 cm and temperature higher than -10 C. Any rider not properly attired will not be allowed to participate. Proper Attire: Riding helmet for those under 18 years old is mandatory, toque or head band may be worn under the helmet, warm winter boots with a heel, long johns are recommended, nylon ski pants are not recommended (they are slippery), winter jacket, lined gloves or mitts.